Glove? Who needs a glove? 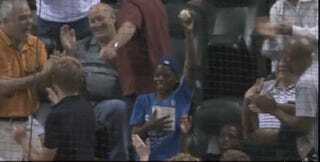 What you see in the video below is proof that it's possible to catch a baseball with butterfingers.